Looking to up your influencer marketing game? 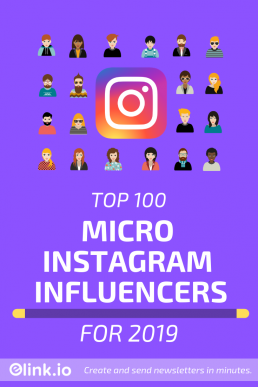 We have curated a massive list of the top 100 Micro Instagram Influencers (and counting!) to help you get started! On average, Instagram users spend 53 minutes per day scrolling and liking awesome photos. That’s just five minutes less than Facebook users spend. When Facebook acquired Instagram back in 2012, many called it the wackiest acquisition till date as the purchase price was around $1 billion. A little over 6 years later, that purchase is looking like the smartest thing Facebook has ever done! As Instagram became everyone’s favorite app, it also popularized the concept of influencer marketing. In 2017, the term “influencer marketing” increased by 325% in Google searches. The influencer marketing phenomenon continues to make noise in the industry, giving birth to new agencies acting as matchmakers between brands and influencers. Marketers all around the world have taken notice as roughly two-thirds of marketing departments are looking to increase their budget for influencer marketing over the next year. In 2017, a mind-boggling 12.9 million brands sponsored influencer content was posted on Instagram. That number is estimated to double in 2018, creating an estimated market size of nearly $1.7 billion. Why is Influencer Marketing Taking Off? Over 70% of millennial consumers are influenced by the recommendations of their peers in buying decisions. 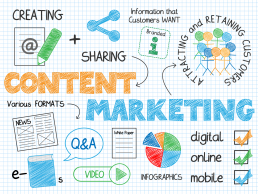 30% of consumers are more likely to buy a product recommended by a non-celebrity blogger. 4 in 10 millennial subscribers say their favorite influencer understands them better than their friends. 49% of consumers depend on influencer recommendations. 40% of consumers have purchased something after seeing it on Twitter, YouTube or Instagram. 6 in 10 teens follow advice from influencers over celebrities. Shocking, right? Believe it! Over 67% of marketers are planning to increase their marketing budgets in the next 12 months, particularly on Instagram. Influencer marketing is particularly big amongst those in the fashion industry as 57% of companies now use influencers as part of their marketing mix, while 21% are planning to add this to their strategy in the coming year. The term “influencer marketing” increased by 325% in Google searches. In addition, 22% of marketers say influencer marketing is the most cost-effective method of obtaining new customers. And why wouldn’t it be? Research shows that Influencer Marketing Campaigns earn $6.50 for every dollar spent! Talk about cost-effective! In 2017, 92% of marketers who used influencer marketing found it to be effective. If you missed out last year in capitalizing on the influencer trend, don’t worry. Influencer marketing is here to stay and will continue to be one of the most cost-effective marketing channels for brands and small businesses alike. If you want to hop on the influencer marketing train, we have curated a massive list of 100 micro-influencers in 10 different categories for you to reach out and partner with. And there you have it, folks! A list of 100 micro influencers on Instagram right now. From food to fitness, we have got it all covered. If you don’t want to miss out on such a massive opportunity to get your brand, product or service in hands of some of these people and build a relationship, you should start emailing and DM-ing them right this second! What are you waiting for? Go!